Steve King wants Planned Parenthood funds to pay for the border wall. How much wall could those funds build? Steve King Wants Planned Parenthood Funds to Pay for a Border Wall. How Much Wall Could Those Funds Buy? 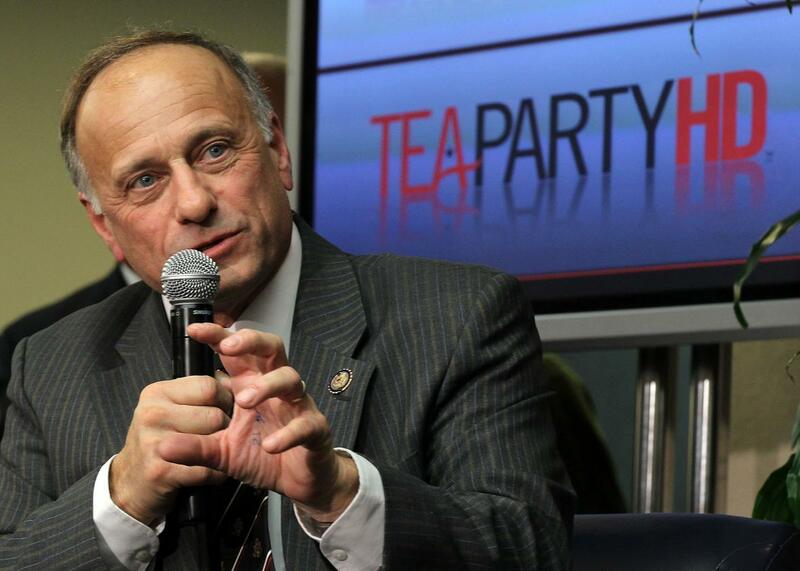 Rep. Steve King imagines the many miles of wall poor women’s pap smears could build. It’s not every day Rep. Steve King comes up with a novel thought—most of his brain waves waft out of racist novels from the ‘70s. But on Wednesday morning, the Republican Congressman from Iowa managed to come up with one original idea: Take away Planned Parenthood’s federal funding, and use it to build the U.S.-Mexico border wall! King popped out his precious thought-baby while speaking on CNN about the House Appropriations Committee’s recent bill that proposes allocating $1.6 billion to Customs and Border Protection for the purpose of Donald Trump’s promised wall. If King had his way, he said, the wall would get $5 billion more. “I would find a half of a billion dollars of that right out of Planned Parenthood’s budget,” he said. The other $4.5 billion would come from cuts to food stamps. Why hasn’t any other intrepid legislator suggested taking away poor women’s pap smears and spending the money on a giant fence instead?! Let’s pause for a moment to imagine how big and beautiful a wall could be with all that health-care money that usually subsidizes birth control for women on Medicaid. Now let’s calculate it. An internal Department of Homeland Security report obtained by Reuters earlier this year estimated that the border wall could cost about $21.6 billion to build. In the 2015-2016 fiscal year, Planned Parenthood got $554.6 million in government reimbursements (from, for instance, providing services to people on Medicaid) and grants (from, for instance, family-planning programs like Title X). Some of that money comes from state governments, and some comes from federal funds, but Planned Parenthood doesn’t disaggregate the funds in its annual reports. So let’s be generous to King and assume that every state “defunded” Planned Parenthood and donated the resulting funds to the cause of the U.S.-Mexico border wall instead of putting them back into public health. $554.6 million in government funds goes into a $21.6 billion wall 38.95 times. Customs and Border Protection has estimated that the wall could be 1,827 miles long. Divide that by 38.95, and Planned Parenthood’s $554.6 million could build a wall segment just under 47 miles long. Not bad! That would span about the length of the very top tip of New Hampshire, where it brushes up against Canada before spooning Vermont. That’s more than 15 miles of border wall, and no Medicaid reimbursements or family-planning subsidies for Planned Parenthood patients. Not much of a dent in the blocking-Mexico department, but think of what else it could do! A 15-mile wall in D.C. could encircle Ivanka Trump’s Kalorama house, the White House, the D.C. Trump Hotel, and all the drunk bros at Nationals Park. Fifteen miles is just enough for Manhattan to build a wall below Central Park and around the lower coastline of the island, enclosing Trump Tower in a quarantined zone. Or, with just under 15 miles of wall, Trump could build his way from his golden Fifth Avenue tower to the Pizza Hut in downtown Newark. It’s no well-done steak, but with just 15 miles to work with, a few plates full of cheesy bites is about as good as it’s going to get. Defunding PBS should cover the bill.